A simple and easy to prepare protective Indian Charm to make and enemy run away is given here. This Charm is said to remove the enemy from your surroundings and out of your life. This Charm will work if the person is really your enemy and is out to do harm to you or your loved ones. This is Health Mantra for malefic Astrological Transits and weak and defective planetary placements in the horoscope. This mantra is specific to the curing of health problems, diseases and ailment arising from the conditions mentioned above. This simple Talisman prepared on a Bhojpatra with the paste of Ashtagandha is used in India as a Talisman to remove dangers from enemies, black magic spells and malefic energies from entering the aura of the individual. This Talisman is first prepared and then worshipped by offering flowers, incense and the lighting of an oil lamp and then worn around the neck inserted in a locket as an amulet for protection. Talisman to stop an Enemy is given here. This Talisman confuses the enemy by destroying his harmful and destructive thinking and by confusing his mind. This enables one to put a full stop from any dangers and harm from that particular person. Human chromosomes R&D (research & development) experts kept finding more genetic details associated with many aspects of our mammal body & brain developments. They had felt it should be nicest to include into moderns some of the best genetic versions beyond just what would give superior health. They had early been doing this some, such as trying what had seemed to contribute extra happy fun for more nice good daily living. This is a mantra Sadhana to remove hunger and thirst. The Siddhi is achieved by the chanting of the mantra given here 10,000 times; on any auspicious occasion like the Hindu festival of Holi or Diwali or during the period of an Eclipse. There's an additional problem if proclaiming Sol is just some horizontal disk passing across our sky. This could argue that Sol must instead apparently be some sphere. Or defenders of ancient disk beliefs would have to claim that such a disk's facing directions must keep tilting all day to stay best facing us, before it disappears below our horizon for a half day, to then somehow reappear at our opposite horizon. 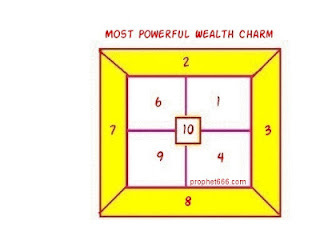 This is a Shabar mantra Sadhana practiced to attract and gain in sudden and unexpected money, wealth, windfall, luck and good fortune. The Sadhana makes the use of a Deer Skin, hunted during the period of the Mriga Nakshatra [Lambda Orionis]. The Sadhak has to sit on the Deer Skin on the banks of a river under a Kanak Champa tree [Pterospermum acerifolium] and chant the wealth mantra given here 100.000 times in a span of 21 days. By now, can you find any even firm believer in God (Allah, Jahveh) who holds to old theological presentations of the nature of our existence, as if being Divine Truth never to be questioned or rejected? Quite the contrary, virtually all folks have by now come to instead accept astronomy's scientific presentation of Earth as instead being a daily turning sphere, orbiting yearly a very far away far more huge and massive super hot gas sphere Sol, with our daily turning axis strangely significantly 23.5deg different from our orbit axis, harshly resulting in our yearly uncomfortable seasons of hot summers and even freezing cold winters. John the Baptist is arguably the most important personality in the Christian religion; after Jesus Christ. He is also acknowledged as one of Christianity’s greatest prophet. Hence any prophecy made by the prophet who Baptized Jesus Christ has to be taken very seriously. The very foundation of Christianitystands and hinges upon the prophecies and visions of these prophets like John and Paul. Marriage is that event in life most people dream about, every one wishes for a husband or wife as per their dreams and aspirations. This is the topic I get the most mail; unable to reply, due to time constraints I hope to address this to all of those who have written to me for luck charms for a good, happy and blissful marriage. 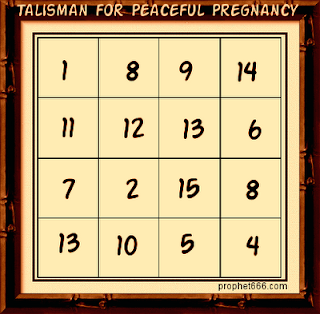 This is an Indian Talisman used to ensure peaceful and pain free pregnancy in women. The use of such Talismans is prevalent since ancient times in India. Nostradamus in this prophecy describes a miracle taking place just before the Empire Changes. The Empire referred to here could refer to the present form of governance prevalent in the world today; with its governments and man made religions. The timing as given by Nostradamus could by somewhere in the near future as we already are in the peak of Kali Yuga. This could be just before the much awaited battle of Armageddon or the World War 3. Such a miracle or supernatural event has never occurred before in the history of the world; so a futuristic prophecy. This is a protective amulet for small pox, and other severe diseases related to the skin like chicken pox, measles, boils and warts. In an earlier post I had given the Sheetla Mata mantra which is chanted to get relief from such painful ailments. Today I am given a specific talisman of Sheetla Manta which if worn on the body of the one suffering from these painful ailments; gives relief. The Yakshini is per Indian Tantra is as I have described before in earlier posts a feminine force of nature; for specific purposes. The worship of the Yakshinis is practiced for various purposes including the fulfilling of sexual desires, money, marriage, enemies and also for each and every other want in life; including spiritual and Tantrik ones. This is a simple to practice; yet a most powerful self protection mantra for your body. This is a Shabar mantra which ensures that no visible or invisible harm, danger or calamity comes your way or attracts itself to your aura. Continual improvements in robotic devices had nicely kept suggesting and then permitting greater improvements for ever more helpful serving devices for homes in the high orbiting settlements. Miniaturization of components let many robotic devices be made efficiently smaller. Older versions then kept getting improved or replaced. New sometimes quite small useful robotic serving devices also got invented with improved more complex computerized mental functions. This is a healing Charm to cure and give relief to the sick and ailing. This Charm has to be written down on a earthen pot of the larger size filled with bathing water. Then the sick and ailing person has to be told to take a bath with that water, if he or she is unable to take a bath then someone close to them must give them a bath. Sad but absolutely true; there is a lot of sadness and pain in this world. The Endeavour of this site is to try to ease that pain and sadness by giving more and more alternative methods to make life happy and give hope to those without hope. 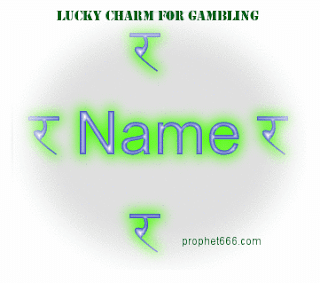 A lot of requests have come my way to give a Lucky Charm for Gambling, Lottery and other games of chance; like the Money and Stock Markets. A simple Indian Charm is what I am giving here. A do it yourself Charm; can be prepared easily by anyone. This is a Surya mantra for radiant eyes. This is a very potent and powerful Tej Mantra. The Sun is the one on whom the world depends for its existence; no Sun no life; as simple as that. The eyes play a key role in the personality of a man; those with a commanding and hypnotic personality are known to possess radiant eyes. Radiant eyes give a magnetic aura to one that possesses them. Most common folks in past as well as in the present period of time have to sometime or the other in their lifetimes have to win the favors of an influential or powerful person. The influential person may be a Lawmaker, Judge, Banker or a Big Money Businessman. Its favors of such people who hold the strings is what the common man depends upon for his existence; sad but true. An effective mantra to remove doubt is given here. Doubt arises when there is a momentary shortage of Prana or the life sustaining force in the body. Certain actions trigger off a certain reactions in the body; doubt is one of them; it is the dual mental state of mind, where one is uncertain as to the reaction to a certain action. Such a state of mind; if chronic lead to unhappiness and inferiority complex. Mabus is the man identified in the prophecies as the one who heralds in death, destruction and war of an intensity never before in the history of the world. The assassination of Mabus is the spark which will ignite and trigger off the battle of Armageddon; World War 3. Mabus is that world leader who is expected to achieve something spectacular in his life time; yet he is the one that lives or rules for a short period of time. His death is what will cause havoc as never witnessed before in the history of the world. Quatrains 18 and 19 of Century 3 of the prophecies are an alarming description of the destruction of Southern France and neighboring Italy; through the use of weapons of mass destruction; nuclear, chemical or biological; or all. Prophecies describing the havoc caused by the much awaited World War 3. This is a Laxmi Yantra to increase sales. This is considered as a most powerful amulet for those whose livelihoods depend upon the sale of goods and articles; like shopkeepers or those in the field of trade and marketing. This Laxmi Yantra is to be prepared on a Monday on a Bhojpatra, written with Ashtagandha paste. Then it has to be worshipped by offering flowers and incense and hung on the wall of the place where the business is carried on. The place where this Yantra is hung should be such that it should be visible to everyone. The robotic method used to toss assembled prepared loads out from a source asteroid had been to easily slowly swing them around using a cable being unreeled from the end of a well anchored high inverted "L" strong not fast turning vertical axis motor. This is another mantra to stimulate the brain and the mind. This mantra is said to be useful if you are into Ayurveda and are taking brain and mind stimulating Ayurvedic prescriptions. A couple of Ayurveda prescriptions with which this mantra is said to work are given here. The reader will be interested in knowing that love charms are not a feature of the present or the past few centuries. Love is an emotion which is inseparable from the human mind; humans were created with love as one of the main ingredients. Charms to ignite the flame of love have been composed since time immemorial. These are a couple of interesting Vedic love charms; composed thousands of years; in the period of the Bronze Age. The annual celebrations of India’s 66th Independence Day will take place tomorrow; with the Prime Minister hoisting the Indian flag at the historic Red Fort. Just few hundred yards away, the Ambedkar Stadium, at the time of writing this post, hosts thousands of prisoners; for wanting laws to bring the looted funds back from the Swiss Banks; for wanting laws to stop corruption and loot of the national resources. The Globe is considered as one of the symbols of the Prithvi Tattva [the earth element]. 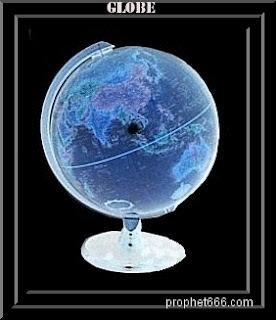 In the science of Feng Shui a Globe symbolizes foreign travel; especially for knowledge and the acquisition of knowledge and education. Hence keeping a Globe in the house is considered as a lucky charm for those aspiring to visit foreign countries for the acquisition of knowledge. Chinese culture has its own unique charms, amulets and talismans. The Peony flower is considered as one such lucky charm; for a girl of the marriageable age, to find a good groom at the right age. The Peony flowers are kept in main sitting room of the house; facing the South – West direction in a flower pot. 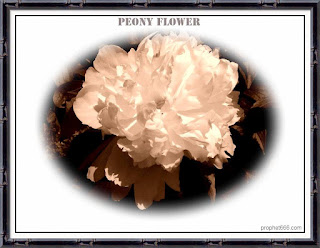 The hanging of a picture or a photo of the Peony flower is also said to have the same effect in feng Shui. Along with this hanging a picture of a handsome and unmarried youth is also considered as a lucky charm for the young girl to find a husband of her dreams who loves her. Charms, Amulets and Talismans were amongst the earliest of the human endeavors to connect with the unknown powers which control the world. Since time immemorial human beings have been striving to connect symbols, images, letters and words with the unknown powers. These symbols are said to generate and attract the omnipresent frequencies and vibrations in nature; which the symbols seek to attract for a specific purpose. The astrological description of the one born under Kaal Sarp Yog is – the one who is cruel, always melancholy and sad, the one who is always dependant upon others for livelihood and the one who is always short of money. Kaal Sarp Yog Dosh Nivaran Pooja is one of the most common and important of the rituals in India. This ritual is performed to negate the malefic effects of Kaal Sarp Yog in the horoscope. 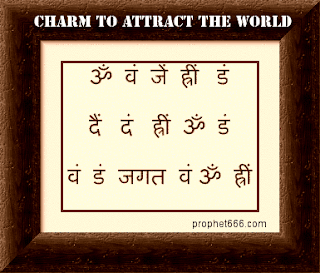 This is an ancient Indian Charm to attract the whole world. This Charm is a spell of a combination of unique Sanskrit letters; said to give a strong vibratory frequency of attraction. It is said that all living beings; including plants and animals vibe in a positive manner with the wearer of this Charm. This Charm is said to have it originated from none other than Shiva . This is a simple Mantra to become well informed, intelligent and knowledgeable. One can learn and study as much as one wants, but if the mind rejects and does not retain that knowledge; it becomes a useless exercise. The knowledge one wishes to master has to find its way to the deeper areas of the sub-conscious mind; and not remain on the surface areas. Due to numerous and repeated requests, I have given two simple do it yourself love Charms. 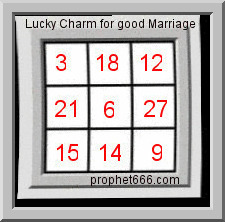 These Charms; from ancient Indian scriptures have to be used only if you really love the person whom you wish to attract with these love spells and harbor honorable intentions towards him or her. Some settlers had been expressing interest in possibly forming a future nice refuge for some ocean life up out here, possibly as a cylinder sea or a ring sea? But either would need much (salty) water. Asteroids not too far outside Mars' orbit didn't have sufficient water (much having been lost long ago as ancient comet tails). But if a cable lift system from Earth was later created, sea water could then be sent up, also a nice variety of sea and island life. This is a secret and rare mantra Sadhana to capture a ghost; from an old Indian scripture. I try to fulfill as many requests from readers as possible by trying to find and post secretive and rare mantras for rare tasks. However I take no responsibility for the same as you can judge by the disclaimer put on this site, for such fearsome Sadhanas can rebound. To make it easy for readers, a simple do it yourself Charm for Eye Pain is given here. 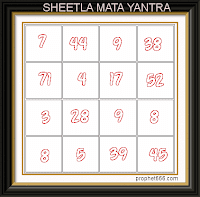 This is a Yantra of numbers of a unique frequency which are said to remove Eye Pain. This Charm has to be written on a blank white piece of paper and shown to the person whose eyes are paining. This simple experiment is said to remove eye pain most effectively. 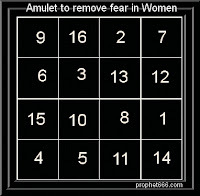 This is a Special and effective Mantra especially for Women. This Mantra Sadhana is said to remove all physical and mental ailments and diseases in women. The woman who practices this Mantra Sadhana gets love and affection from her husband , children and family members. This is the Kamala Laxmi Mantra Sadhana; the Goddess of wealth holding a Lotus flower in her hands. This mantra Sadhana has to be commenced in the Hindu month of Vaishakh during the ascendancy of Swati Nakshatra [Arcturus] by chanting this mantra 120,000 times; this gains mastery over the mantra. Stillbirth and miscarriage are most unfortunate conditions when a new life is snuffed out before birth. The extract causes of stillbirth and miscarriage cannot be ascertained correctly. However some unfortunate women have to undergo this condition more often than others. There is a Shabar Health Mantra which promises to rectify this defect and prevent stillbirth and miscarriage. This Mantra has to be chanted 108 times on a Purnima [full moon] day to remove this defect. This is a Saraswati Mantra to enhance the creative and imaginative skill of composers of poetry, authors, those composing scripts for movies and plays, as also all those engaged in composing creative works. This Mantra promises to increase the inborn skills of these people if chanted 100,000 times in a total period of 10 days, at the rate of 10,000 chants per day. Musicians are amongst the most sensitive people; especially singers. There can be no fixed set of rules for judging a singer; all depends upon the listener. The singer or the musician like the piano, violin or guitar player who enthralls and captivates the audience is said to be great exponent of music. Such sensitive people are always seeking inspiration; especially divine to enhance their skills. This is an extremely potent and powerful Shiva mantra for protection from enemies, life threatening danger from enemies, concealed enemies, harmful business or professional rivals, those intending harm from black magic, evil eye and sorcery. The mantra calls upon the Shiva Tattva to immobilize, destroy and remove the enemies from your path. Internet usage in India has grown by leaps and bounds in the past few years and is growing at a rapid pace. India is already the third ranked country in the world, with an estimated 121 million Internet users accounting for over 5% of the total Internet usage in the world. This is a most powerful Hanuman Mantra Sadhana for job success, problems in job, enemies; including hidden ones in the workplace, legal and court proceedings related to job, removing obstacles to progress in job and also complete protection in the workplace and anything related to the job. If you are jobless you are likely to get one. These are some paranormal remedies; said to be effective which you can try if you are suffering from any kind of Urinary problems, diseases or ailments. Wearing a White Akik stone; made from agate; also called Aqeeq or Hakeek in a Silver ring and worn on the ring finger is said to give immense relief from any kind of Urinary problem. Just a few days back this site has posted an article about the prophecies regarding collapse of governance in India. At the time of writing this article the Anna Hazare agitation is going nowhere. The health of some of Team Anna’s members on fast; notably Arvind Kejriwal is deteriorating. The looters will not relent, they will force Team Anna to withdraw the agitation; the only other option left is to fast until death. The sparse crowds and the pathetic crowd response at Mumbai are responsible for this. This is a Shabar Health Mantra for shaking and rigors accompanied by chills in fever, gas problems or simply due to fright. When such is the case, there are chills and the patient starts shivering; sometimes uncontrollably.